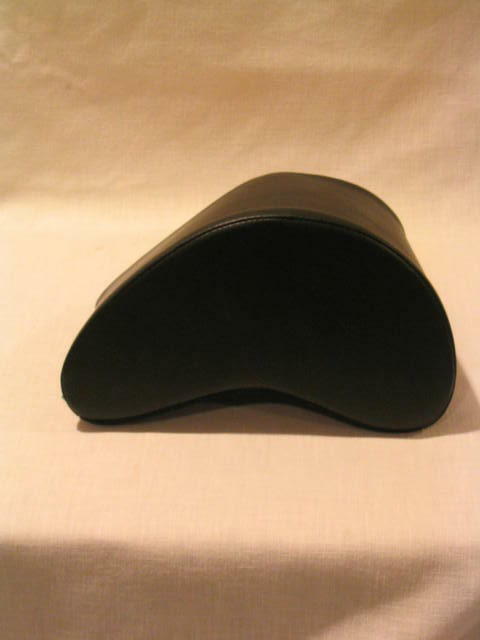 Very firm black leatherette covered foam cushion can either be used in place of the footrest, or allow the footrest to be set lower. Either way it will reduce strain on the back, and back discomfort that some players experience when using the footrest. Size small. Contoured 3″ to 3 3/4″.